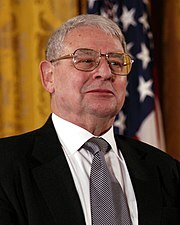 Riccardo Giacconi (born October 6, 1931) is an American Nobel Prize-winning astrophysicist who laid the foundations of X-ray astronomy. He is currently a professor at the Johns Hopkins University. In the first video below in the 16th clip in this series are his words and my response is below them. I love the town of Baltimore. “The Star-Spangled Banner” is the national anthem of the United States. The lyrics come from “Defence of Fort M’Henry”, a poem written in 1814 by the 35-year-old lawyer and amateur poet Francis Scott Key after witnessing the bombardment of Fort McHenry by British ships of the Royal Navy in the Chesapeake Bay during the Battle of Fort McHenry in the War of 1812. My sons and I got to visit Fort McHenry back in 1996 in Baltimore, and we loved our tour. Also I have done a lot of posts on my blog on William Foxwell Albright (from John Hopkins) who was the greatest biblical archaeologist of all time because of his knowledge of pottery. One of the posts I did was entitled, “14c. Three greatest American Archaeologists moved to accept Bible’s accuracy through archaeology.” The final reason that I love your town so much is because of the nickname you chose for the NFL team in Baltimore which is tied into Edgar Allan Poe and that of course is the Ravens!!! !